The Supreme Court will hear two appeals this week. Starting on Monday 7 November is Rabone & Anor v Pennine Care NHS Trust, which is scheduled for 2-3 days to be heard by Lady Hale and Lords Walker, Brown, Mance and Dyson. In this matter the respondent hospital had negligently agreed to a period of home leave for the appellants’ daughter, during which she committed suicide. 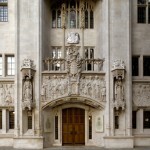 The issues for the Court to decide include whether ECHR, art 2 imposes an obligation on the state to take preventative measures to protect a voluntary mental patient against a risk of suicide, whether the appellants were “victims” under ECHR art, 34 and Human Rights Act 1998 s 7(7), and, if so, had they lost that status on settlement of a negligence claim brought on the same facts, and whether the s 7(5) time limit for raising a Human Rights Act claim should be extended. The case details can be found here. 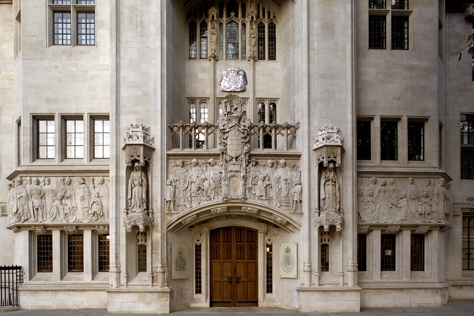 On Thursday 10 November Lady Hale and Lords Hope, Mance, Kerr and Clarke will hear Aberdeen City Council v Stewart Milne Group Ltd, an appeal from the Court of Session (Scotland) disputing the amount payable by the appellant to the respondent in regards to an “uplift” payment owed upon resale of land sold by the respondent. The Court is to determine whether the sum received by the appellant upon resale constitutes “gross sale proceeds” or if this should be the market value of the land at the time. Here are the UKSC case details. The following judgments are due to be handed down on Wednesday 9 November: Berrisford v Mexfield Housing Co-operative Ltd (heard 15 – 16 October 2011) and Jones v Kernott (heard 4 May 2011). In the Privy Council Samuel Robie v The Queen (Jamaica) will be heard on Tuesday 8 November by Lords Kerr, Clarke and Wilson, Dame Heather Hallett and Dame Janet Smith. This is from the Court of Appeal (Jamaica) and concerns an application for leave to appeal conviction. The case details are here. On Wednesday 9 October Deenish Benjamin and Deochan Ganga v The State of Trinidad and Tobago will be heard by Dame Heather Hallett and Lords Phillips, Kerr, Clarke and Wilson. The issues for the Privy Council are whether the convictions of the appellants for murder should be quashed as the trial judge had misdirected the jury regarding their written confessions, if the imposition of a death sentence amounted to cruel and unusual punishment and, in a supplementary application, whether the appellants were fit to plead. The JCPC case details are here. Berrisford v Mexfield Housing Co-operative Ltd, heard 05-06 October 2011. Lehman Brothers International v CRC Credit Fund Limited and GLC Investments PLC Sub Fund, heard 31 October – 3 November 2011. Leave a reply on "In the Supreme Court w/c 7 November 2011"